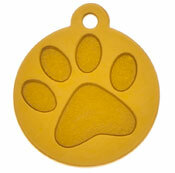 Our Laser engraved pet I.D tags stay clear and readable just as long as common methods of engraving. The laser cutter removes the Anodized finish of the tag whilst leaving all of the metal giving you a distinct easy to read text. 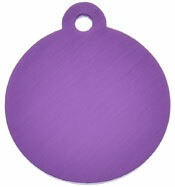 Our Price From: £4.99 .